Mike DeWine, Ohio Attorney General. David Leland, State Representative for the 22nd Ohio House District. The local Republican and Democratic parties will celebrate Presidents’ Day with upcoming dinners over the next week. The Fayette County Democratic Party Executive Committee will hold its annual Presidents’ Day dinner, now named the “Obama Legacy Dinner,” this Sunday at Our Place Restaurant in Washington Court House. The doors will open at 4:30 p.m. with dinner beginning at 5 p.m. Tickets are $15 per person and the menu choices include baked steak or broasted chicken. The guest speaker for the event will be State Rep. David Leland, the former Ohio Democratic Party Chair, who currently serves Ohio House District 22. Leland is a graduate of Columbus North High School, the Ohio State University and Capital University Law School. He is currently a partner at the Columbus law firm, Carpenter Lipps & Leland. Leland was first elected to the Ohio House of Representatives at age 29, where he authored seven bills into law and was voted the outstanding freshman state representative of the 115th Ohio General Assembly. He was elected to the first of four terms as chair of the Ohio Democratic Party in 1995 and chaired the Ohio delegations to the 1996 and 2000 Democratic National Conventions. In 2000, he was appointed to the Federal Service Impasses Panel by President Bill Clinton. As finance chair and senior advisor for Ted Strickland’s successful 2006 campaign for Ohio governor, Leland raised a then-record amount of over $17 million. Additionally, as an avid baseball fan, Leland serves on the board of trustees of the Columbus Clippers, the Cleveland Indians Triple-A franchise. Leland will be accompanied by his wife, the former Phyllis Hunt from Washington C.H. To RSVP for the Democratic Presidents’ Day dinner, call Judy Craig at (740) 436-6674 or Sue Raypole at (740) 335-8034. The Fayette County Republican Central Committee will be holding its 54th-annual Lincoln Day Dinner this Monday. The dinner will be held at the Mahan Building on the Fayette County Fairgrounds and will open for social hour at 6 p.m. Dinner will be served at 6:30 p.m. Tickets are printed courtesy of Jim Chrisman and are available for a $30 donation per person. 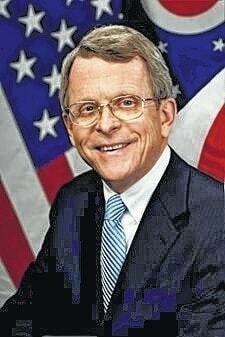 The guest speaker will be Ohio Attorney General Mike DeWine. As attorney general, DeWine’s priority is protecting Ohio’s families, according to the Ohio Attorney General website. In this endeavor, DeWine created a special Crimes Against Children Unit to help identify, arrest and convict sexual predators. He has also increased training for law enforcement and educators to help improve school safety. Currently, DeWine is working to rebuild Ohio’s neighborhoods by investing $75 million from the national mortgage settlement to help remove abandoned and blighted properties. It boasts on his website that on DeWine’s first day in office, he joined the federal lawsuit challenging the constitutionality of Obamacare. In addition, he is working to make sure his office will provide cutting-edge criminal investigation and law enforcement training services. DeWine grew up in Yellow Springs and married his high school sweetheart, Frances Streuwing, while both were Miami University students. They are the parents of eight children and 22 grandchildren. https://www.recordherald.com/wp-content/uploads/sites/27/2017/02/web1_MikeDeWine.jpgMike DeWine, Ohio Attorney General. 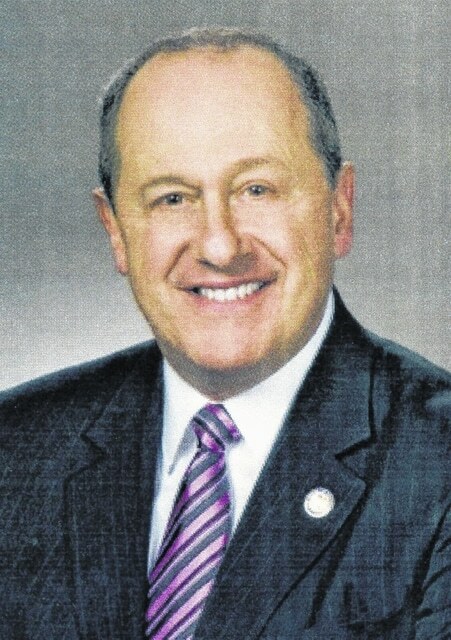 https://www.recordherald.com/wp-content/uploads/sites/27/2017/02/web1_img529.jpgDavid Leland, State Representative for the 22nd Ohio House District.